This cushion cover is made with a beautiful piece of velvety Ikat (in reality, nothing less than plushy silk hand made in Uzbekistan) . It measures 24 x 16 and it has a light beige chenille fabric in the back, which was added in Turkey to create the pillow. 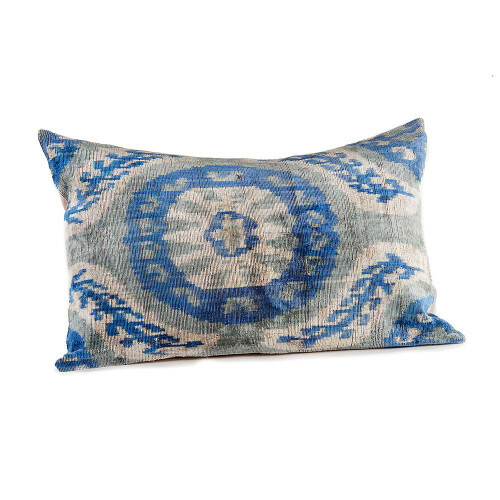 Because velvety Ikat is a fabric that has a certain pile, it reflects the light differently at any given moment, adding interest and color to any decoration.